A warm welcome in a new cottage built in 2000. Inside has been sympatheticaly fitted with reclaimed materials making for a homely atmosphere. Set in peaceful countryside with wonderful views close to Montrose Basin Nature Reserve, and within walking distance of the beach. All rooms en-suite and comfortably furnished with TVs and hospitality trays. 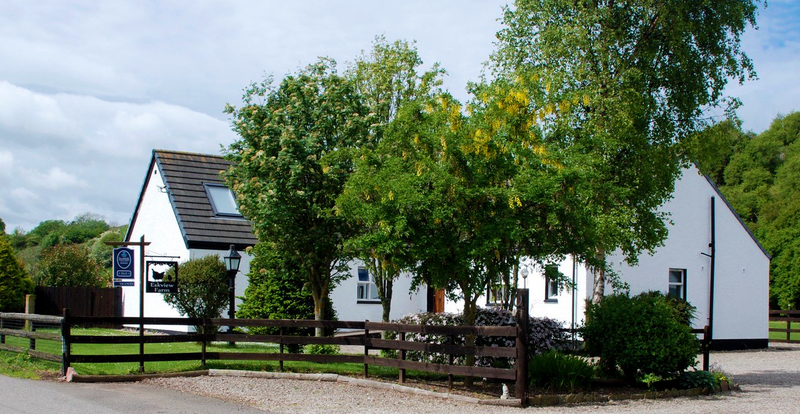 Good home cooking with strong emphasis on use of fresh produce including free range eggs- Ideally located for fishing, golf, cycling, walking and horse riding. Only 30 miles from Aberdeen and Dundee. - Private parking. We operate a No Smoking policy and unfortunately due to the comfort of other guests No Pets are allowed in rooms.